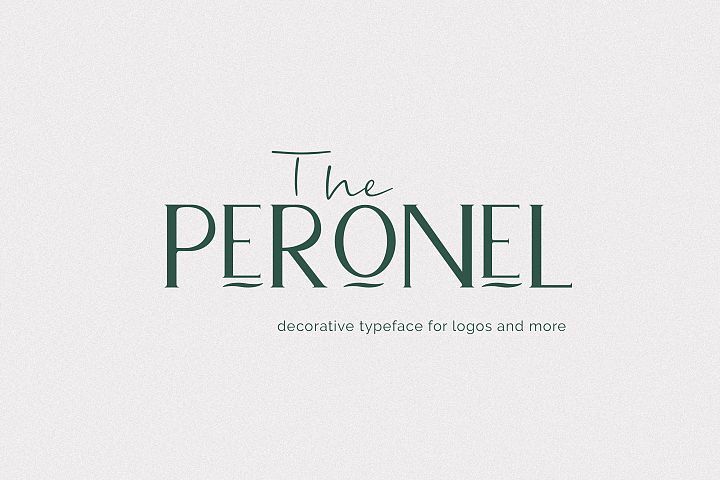 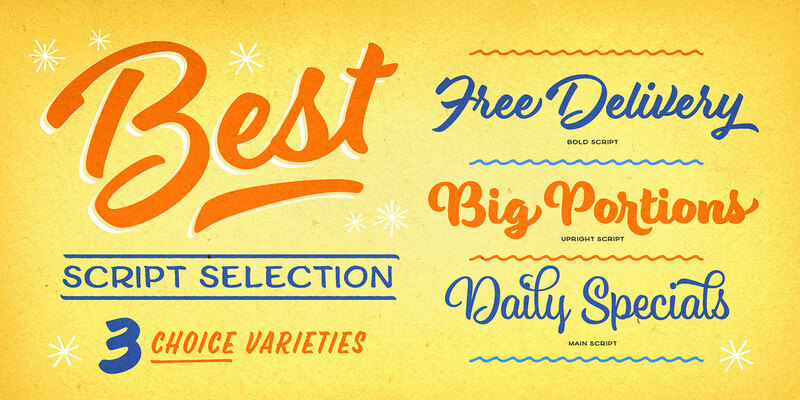 It’s like hiring your own professional sign painter with a solid repertoire of styles; each one is distinctive, yet clearly by the same hand. 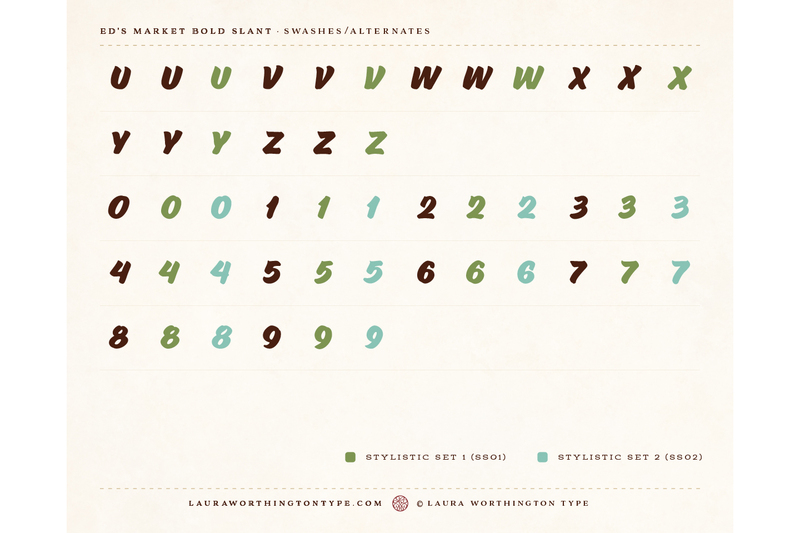 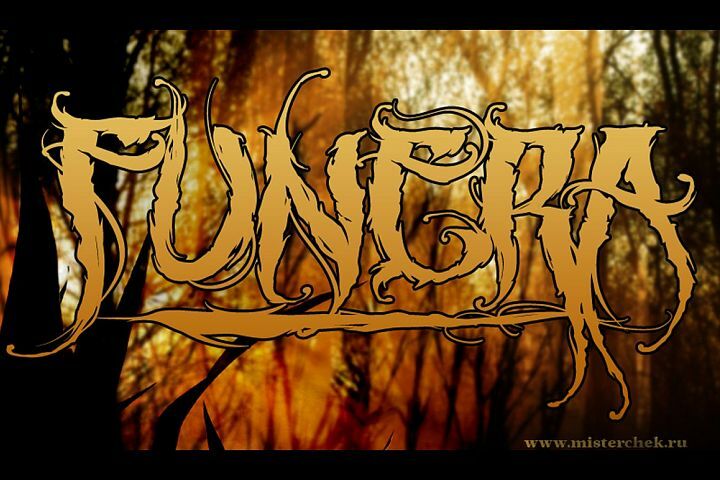 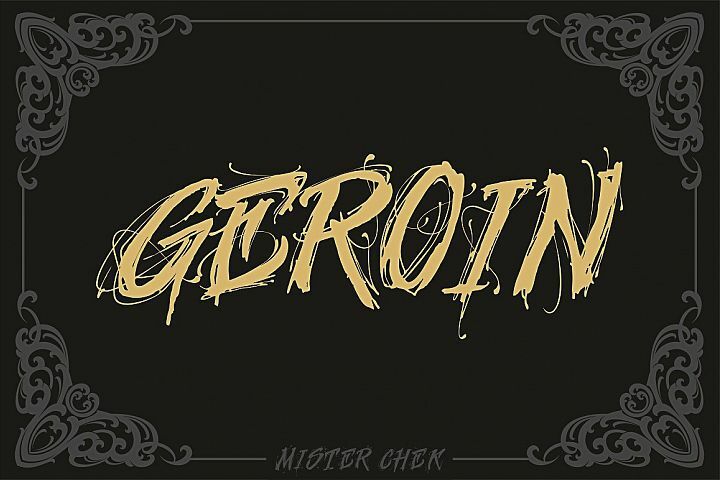 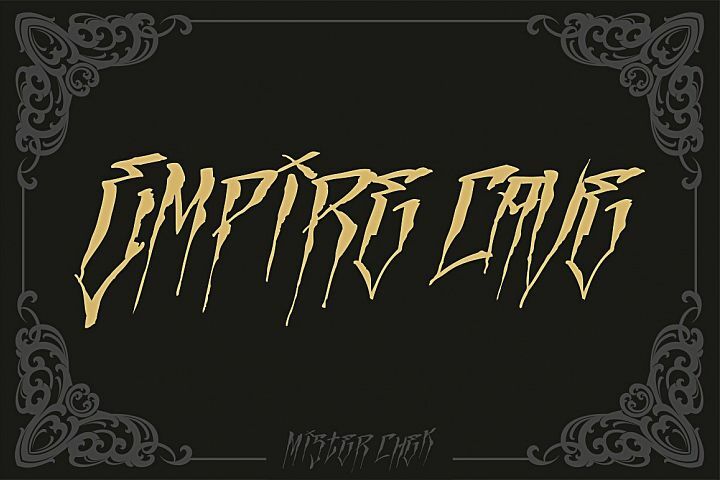 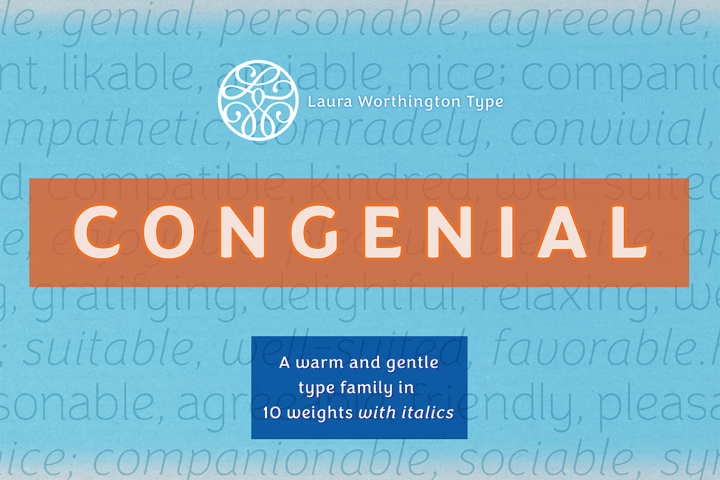 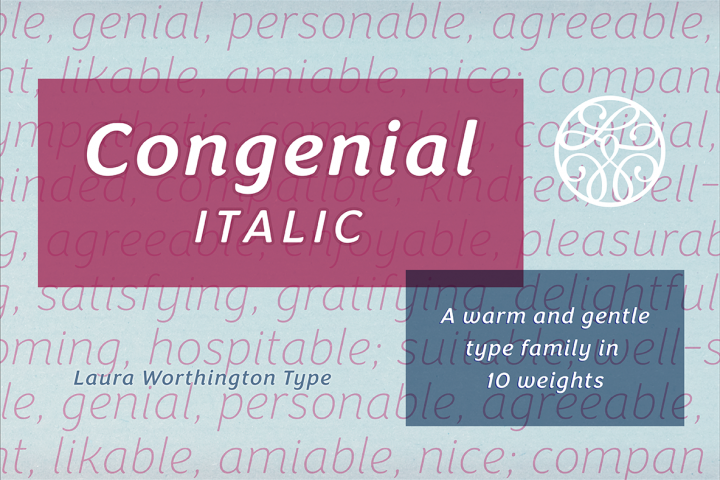 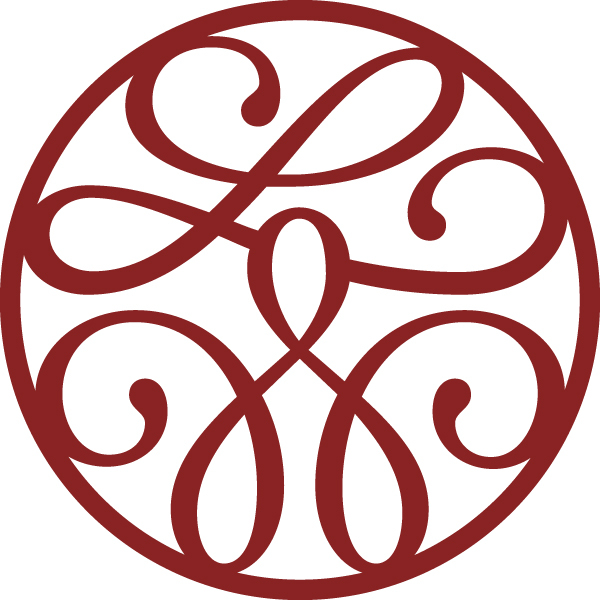 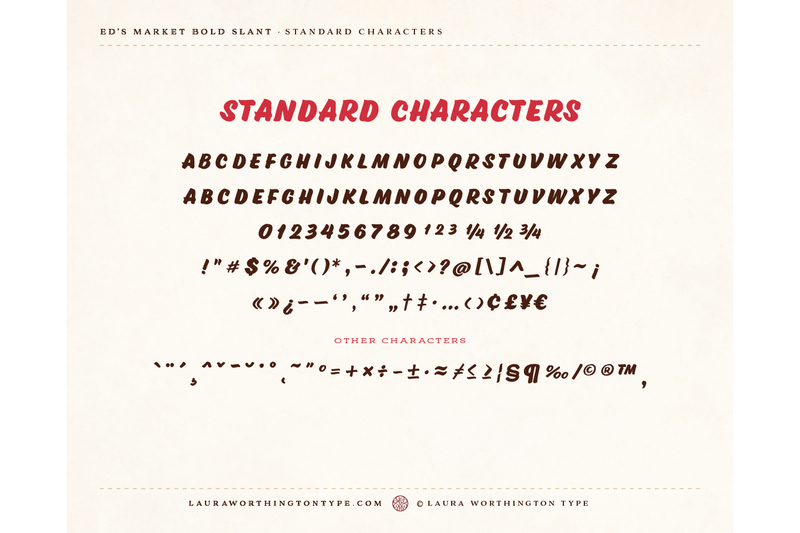 No variants were created on the computer – each weight and version was individually hand-lettered. 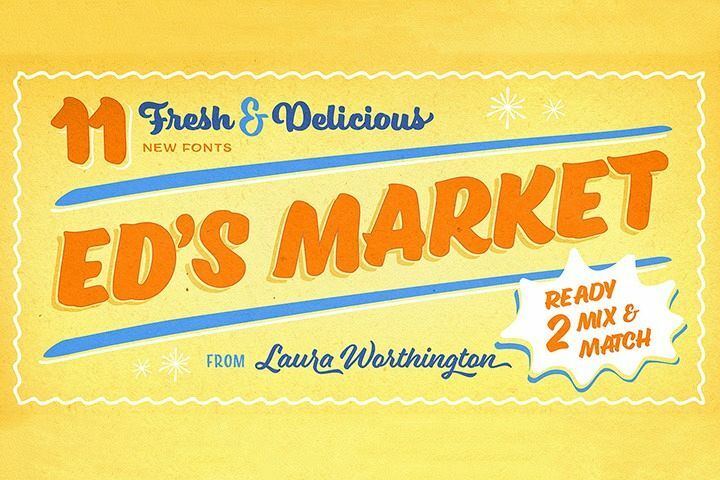 Ed’s Market lets you evoke the warm, inviting vibe of classic 20th-century grocery posters and showcard lettering right from your type menu. 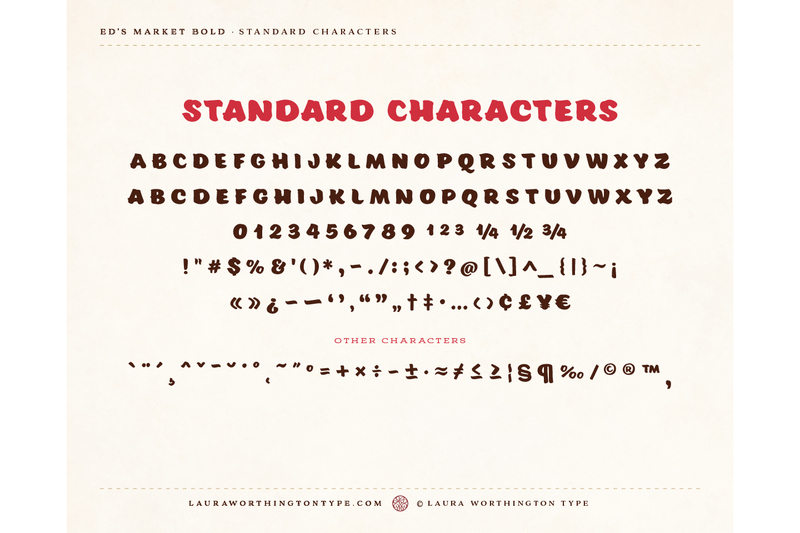 Smart programming ensures that digital perfection doesn't trump human charm: each display face features three variations of each letter, to ensure a natural hand-painted look when characters repeat. 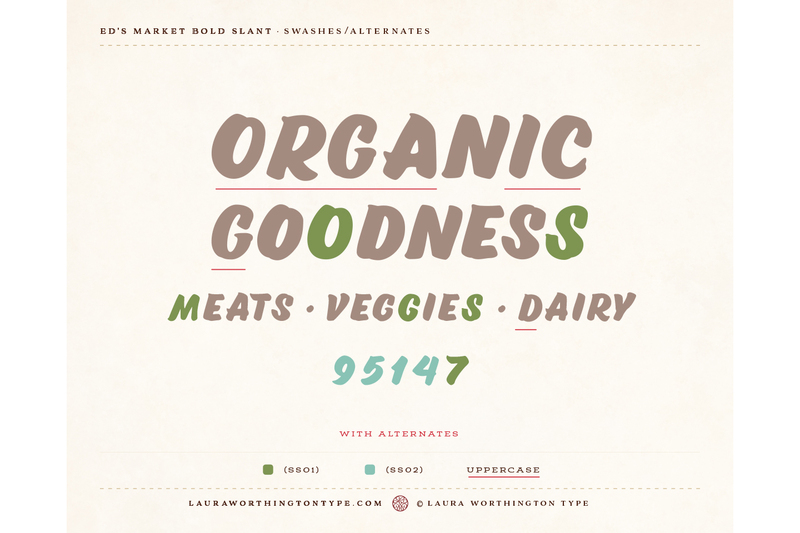 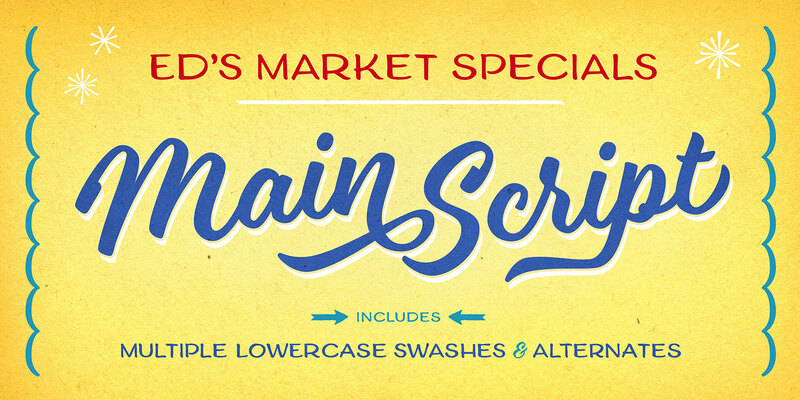 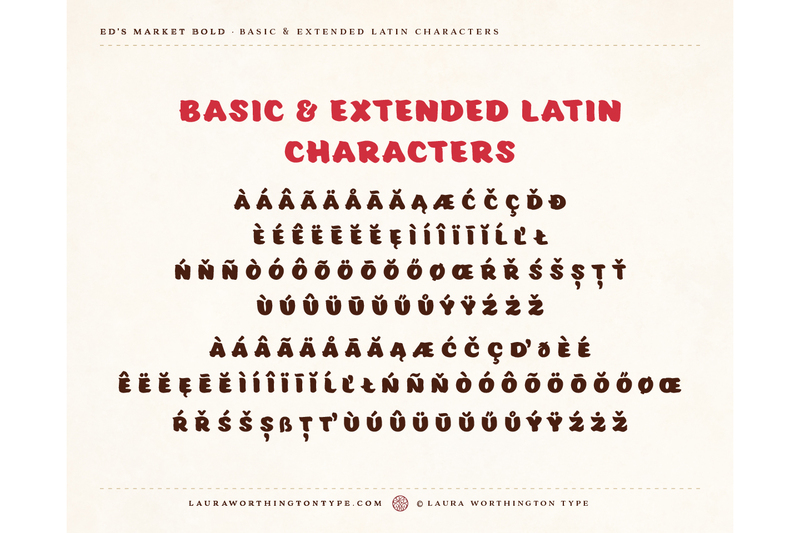 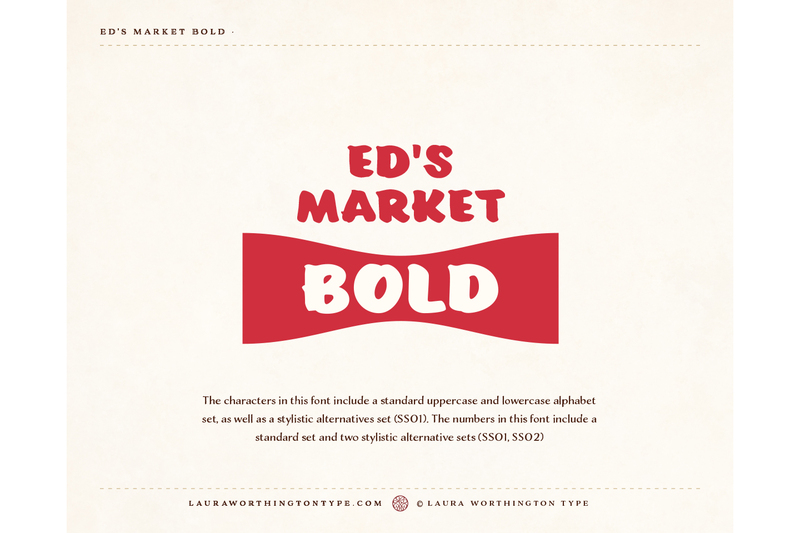 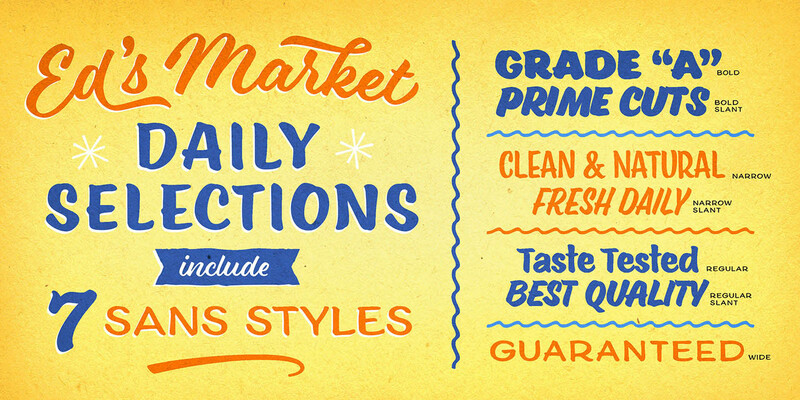 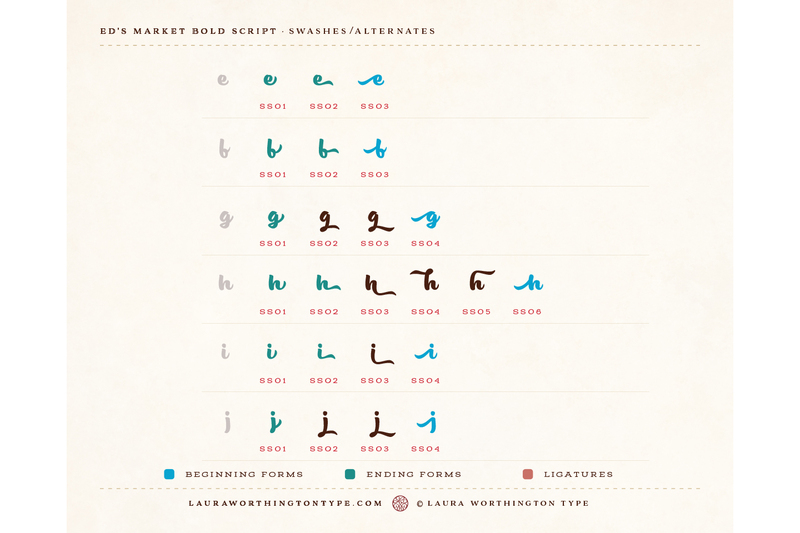 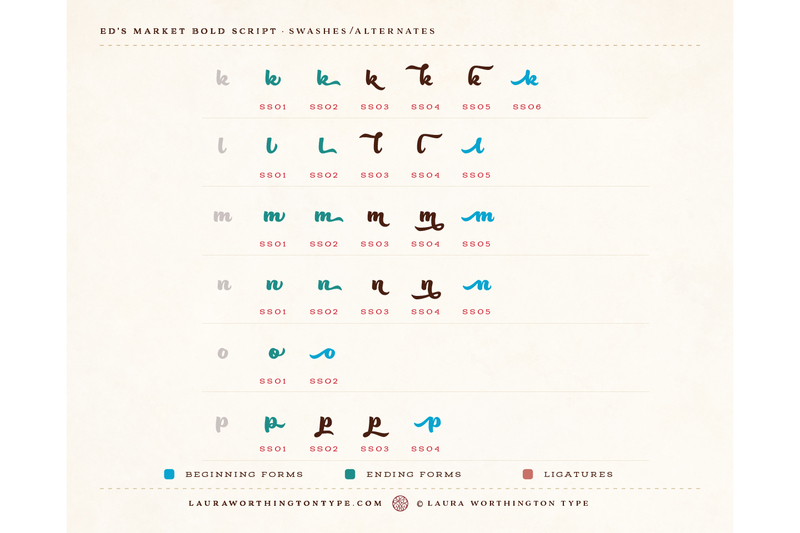 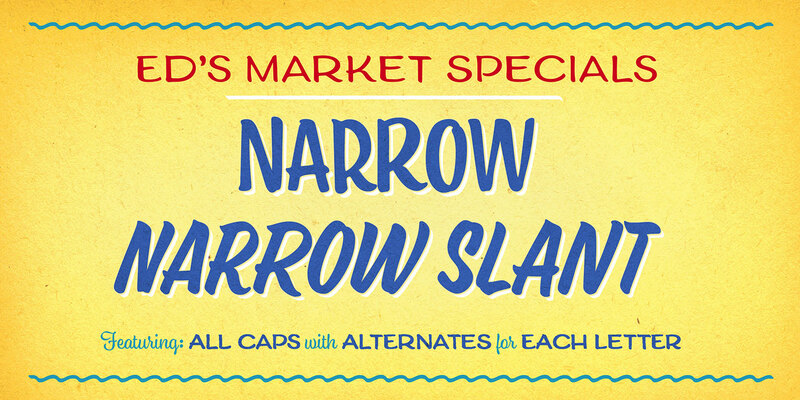 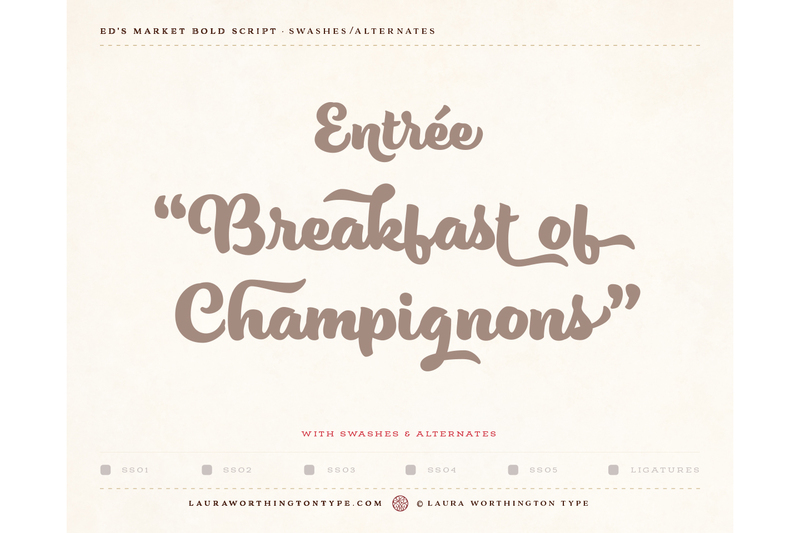 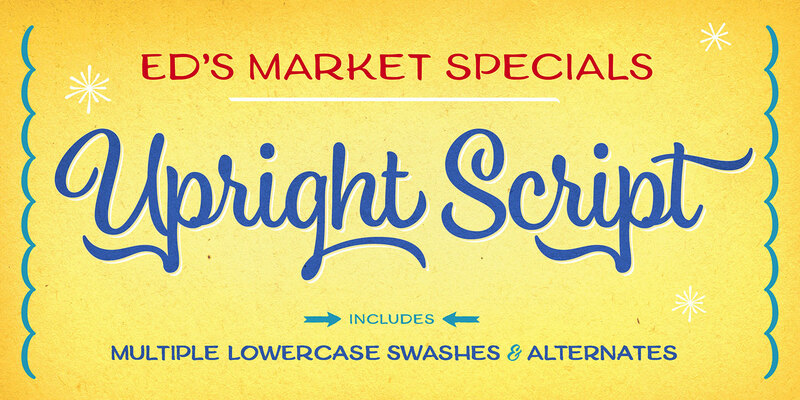 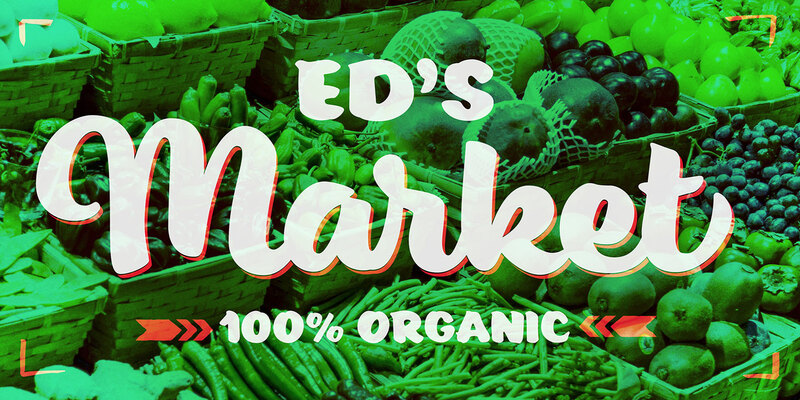 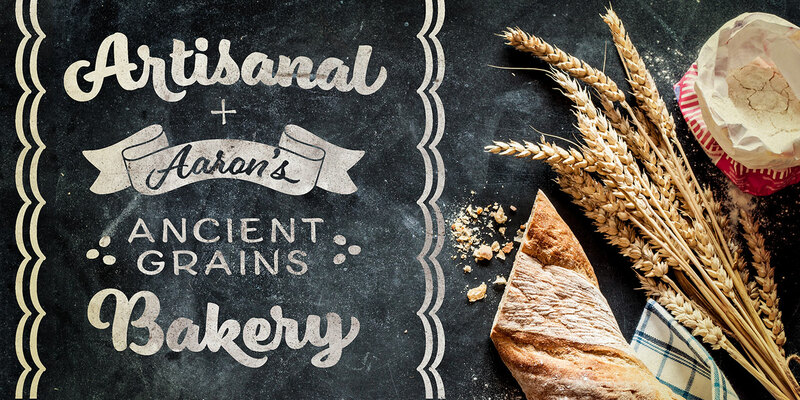 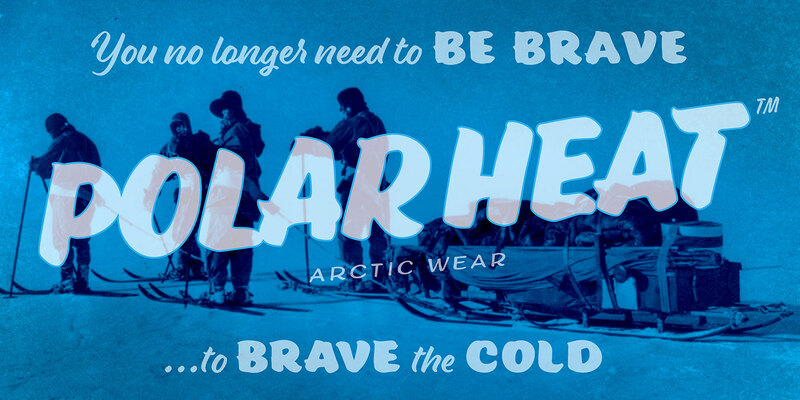 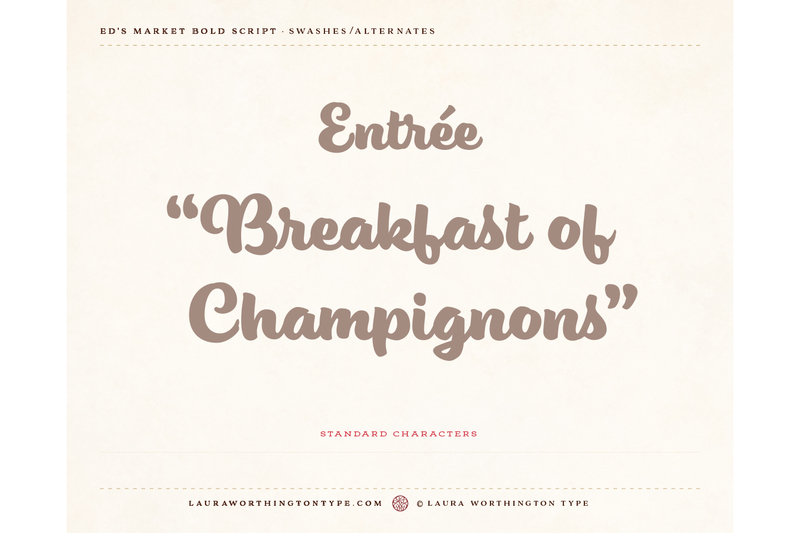 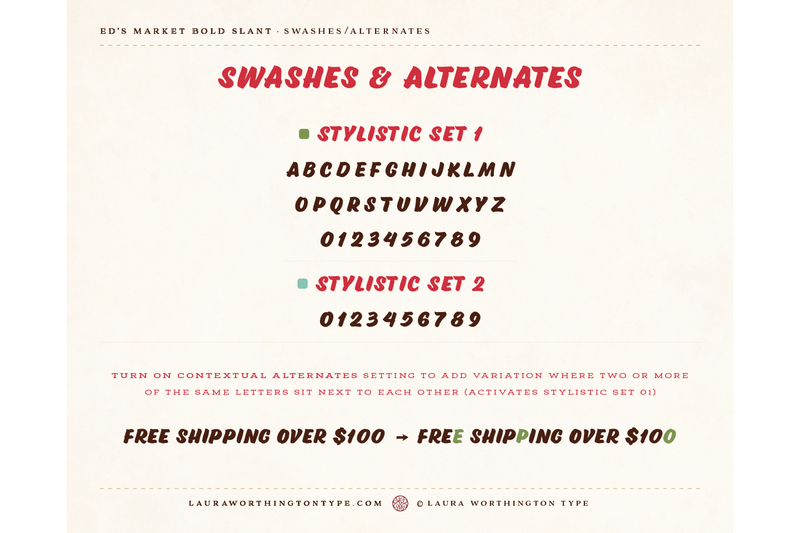 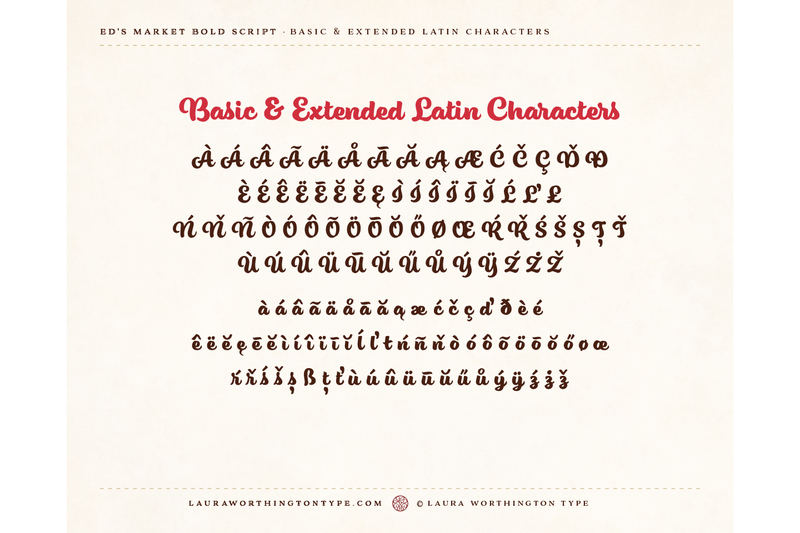 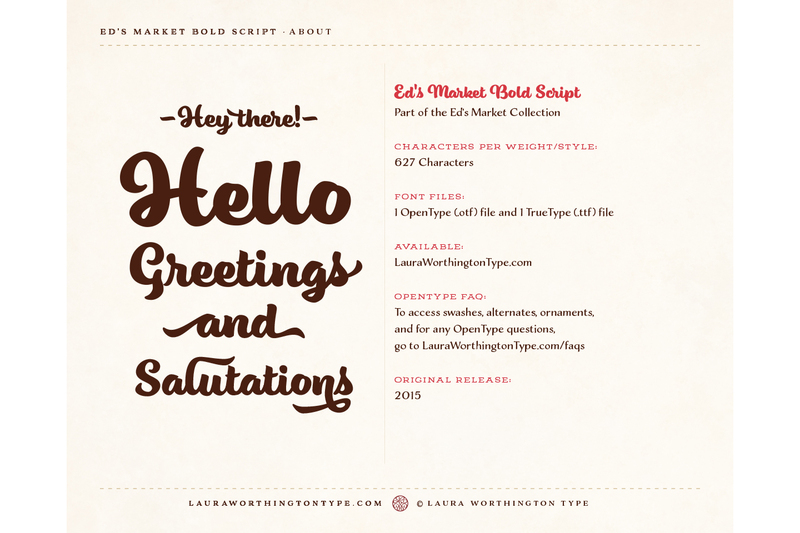 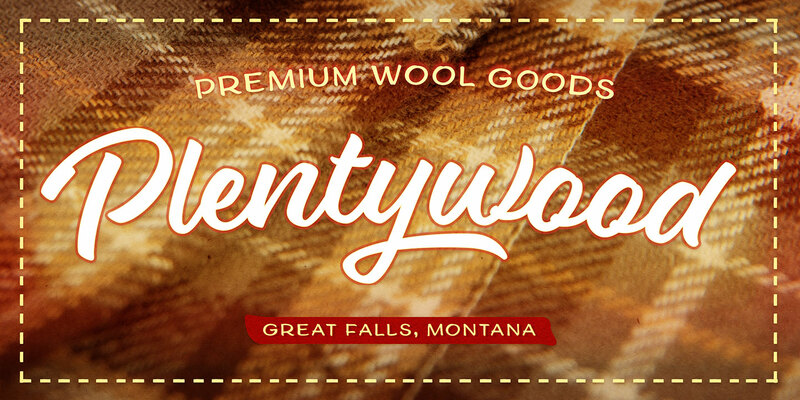 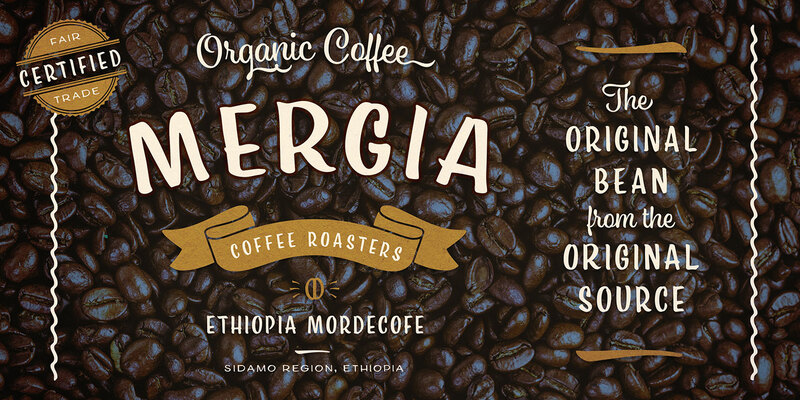 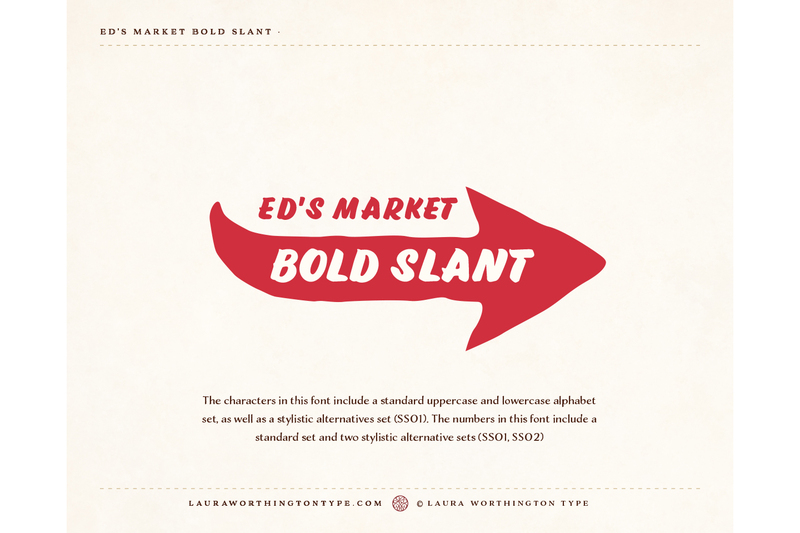 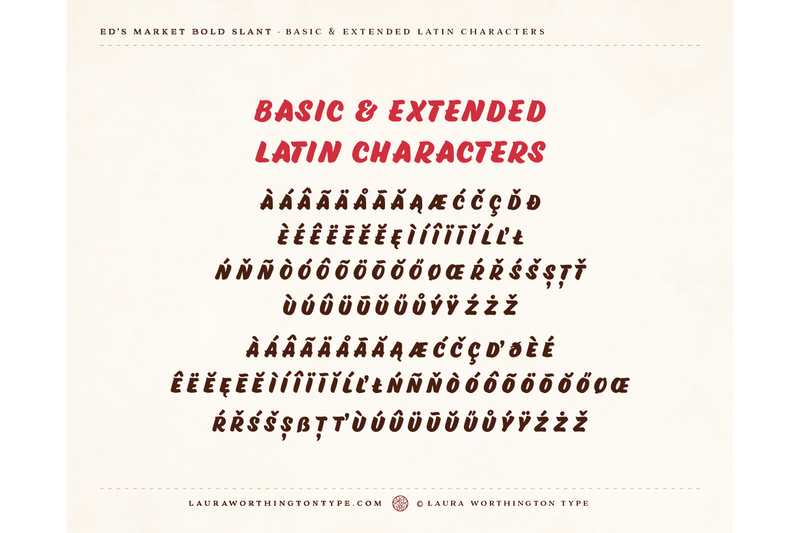 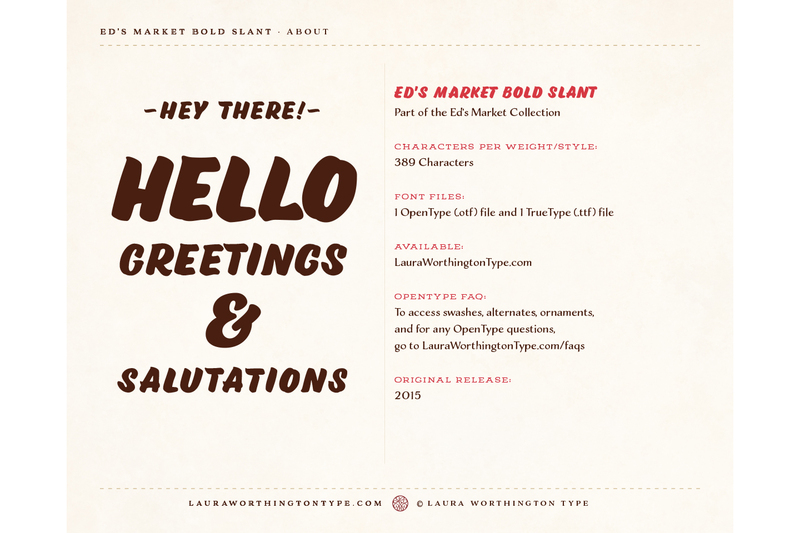 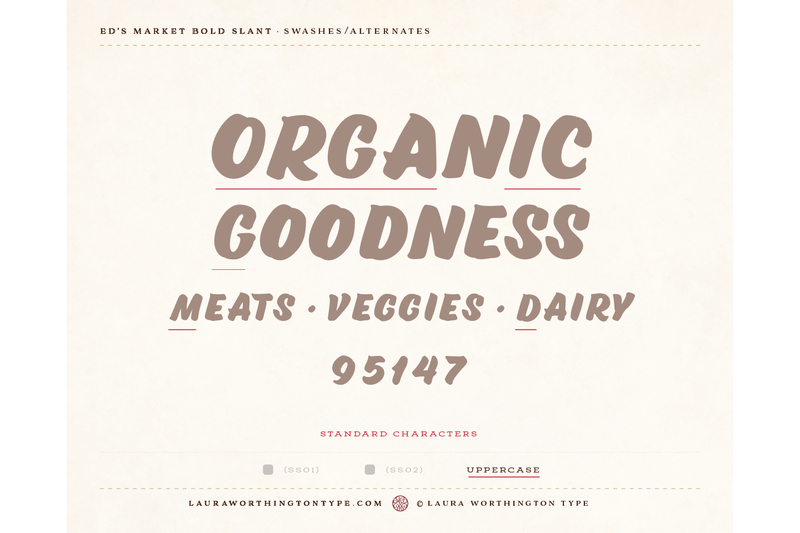 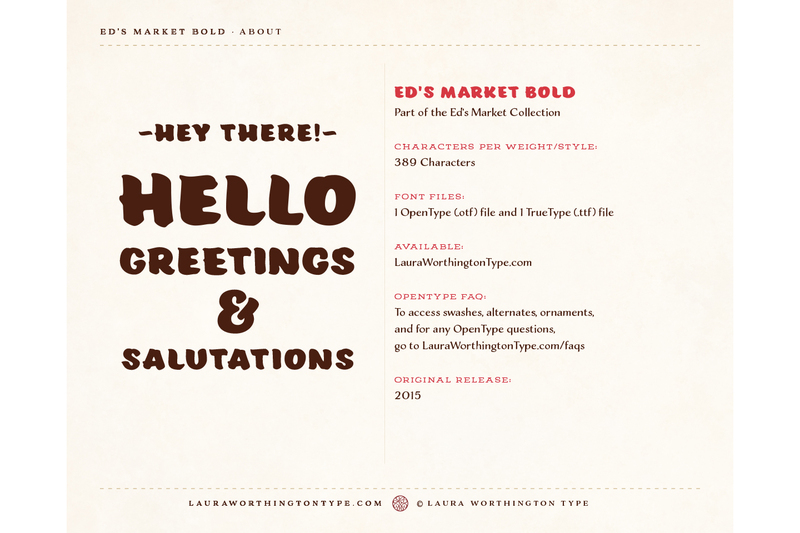 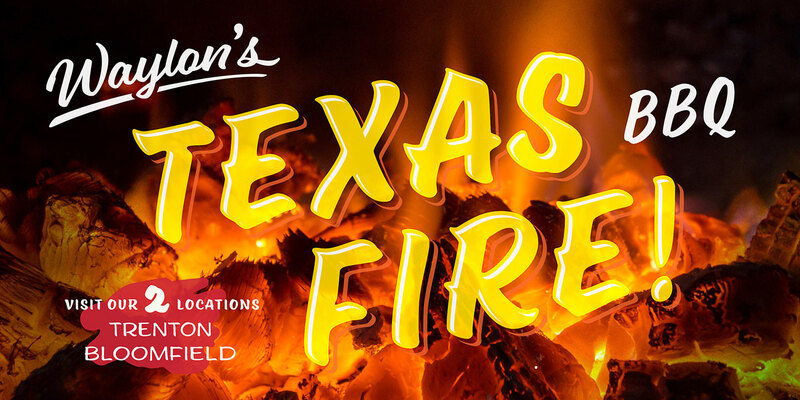 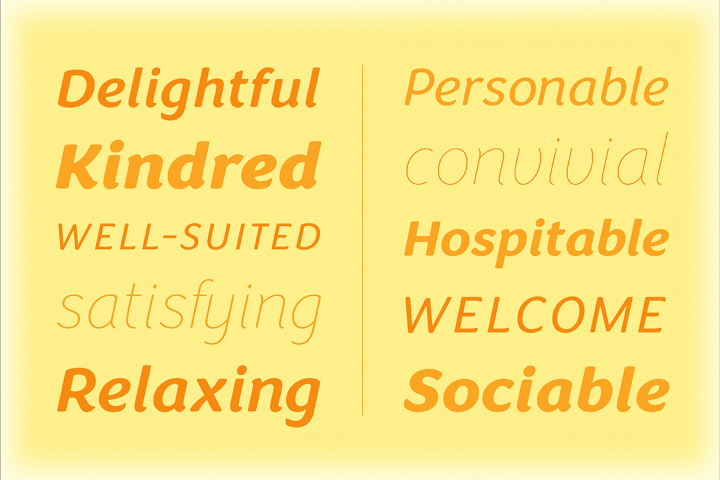 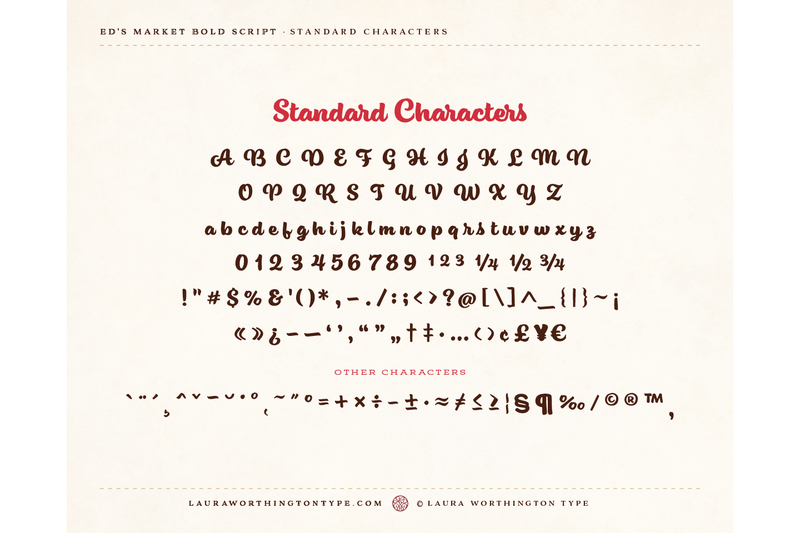 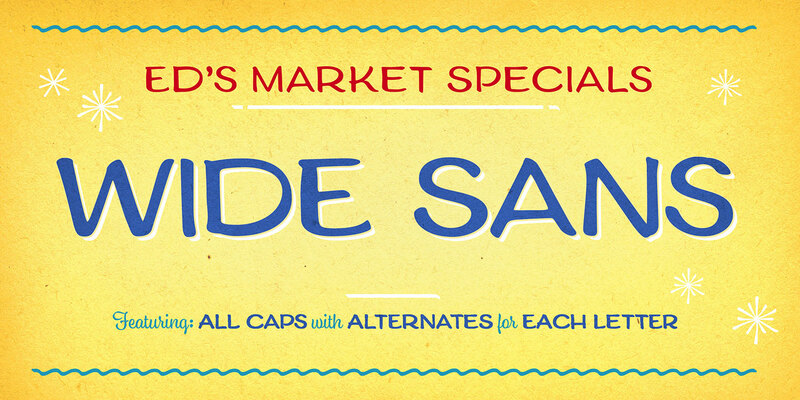 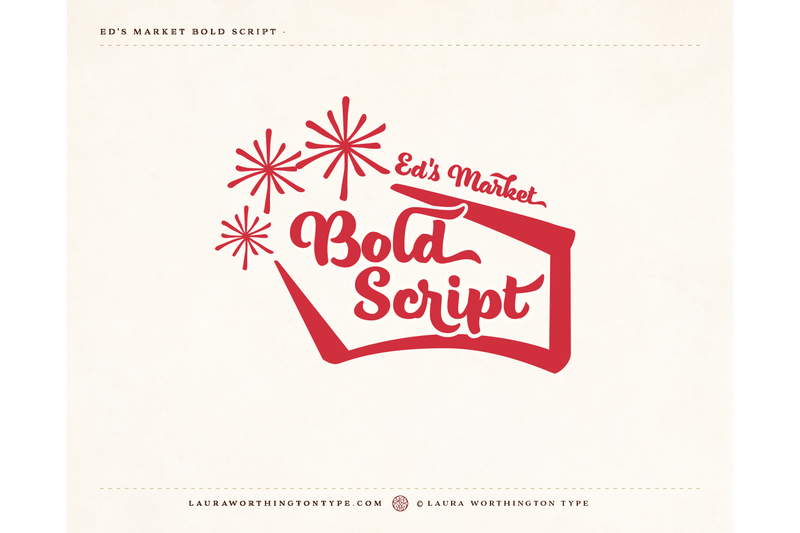 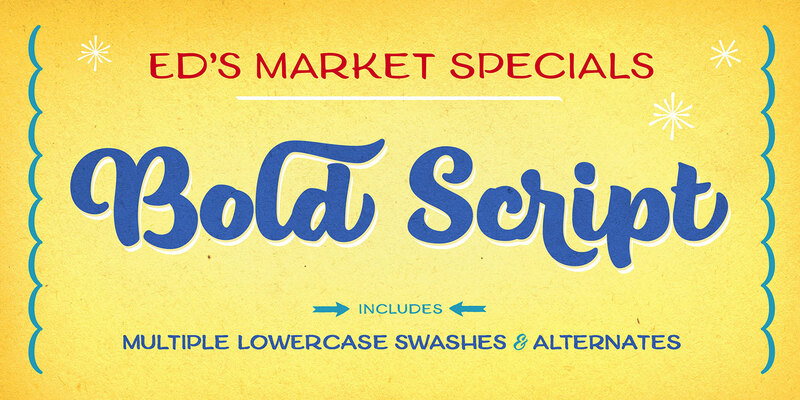 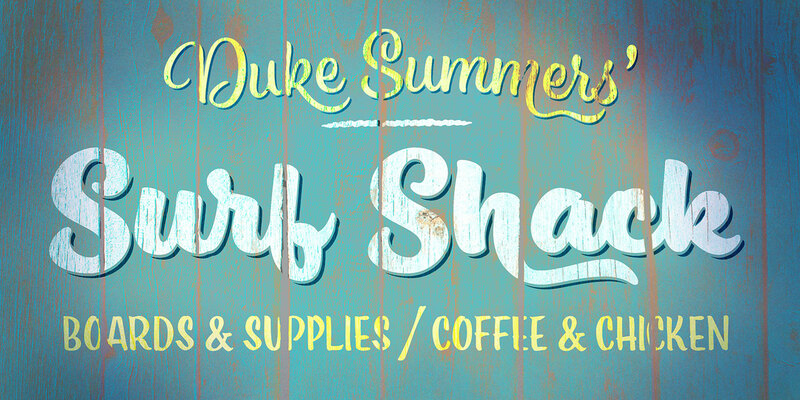 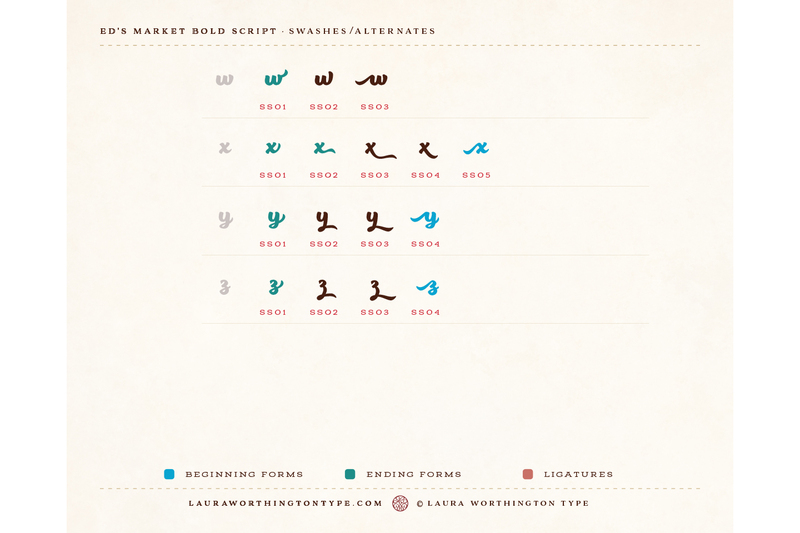 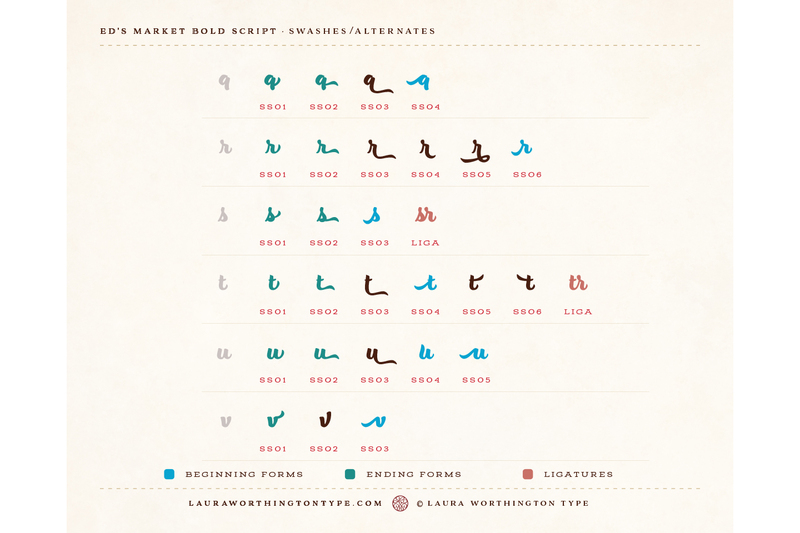 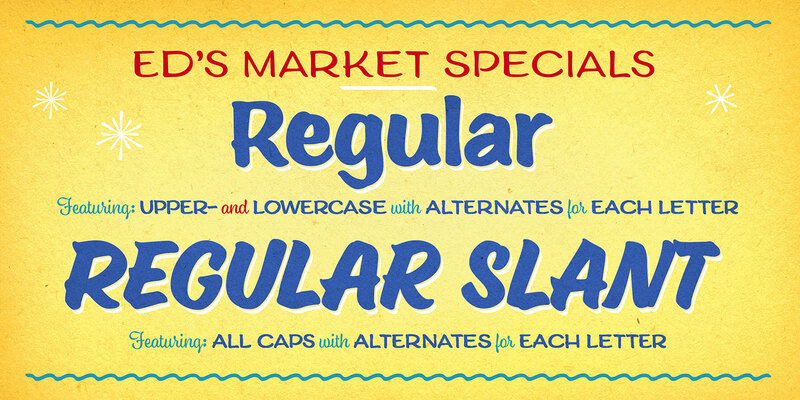 Ed’s Market includes three script styles, each with more than 100 alternate characters and swash forms. 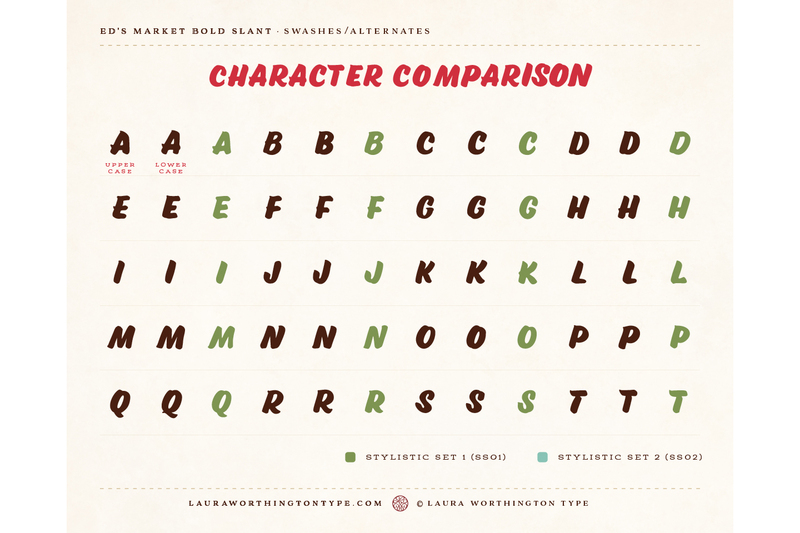 Seven display faces feature three variations of each letter, to ensure a natural hand-painted look when characters repeat. 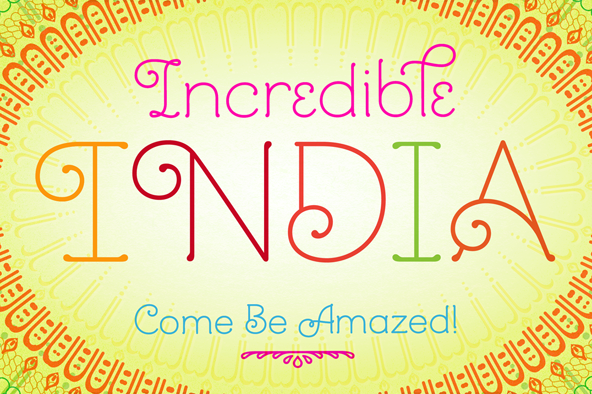 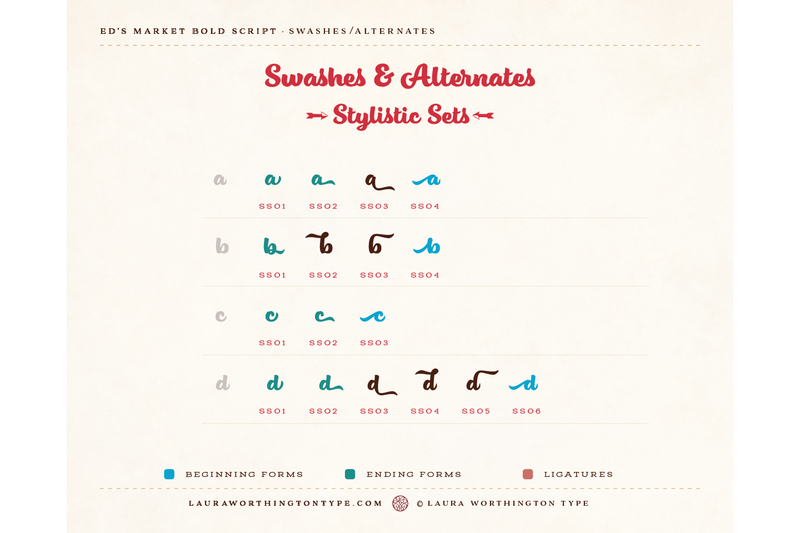 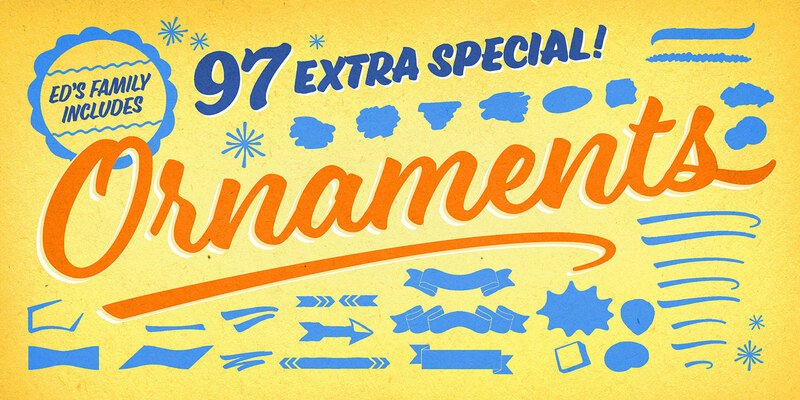 Design Elements offer expandable arrows, rules and ribbons; along with badges, swashes, scribbles, clouds and snipes. 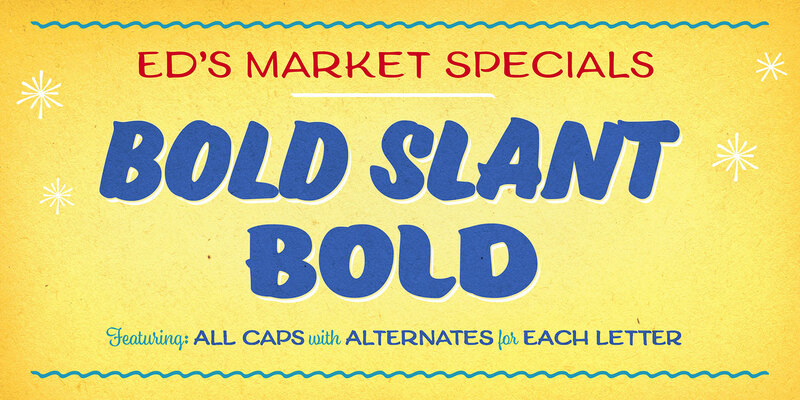 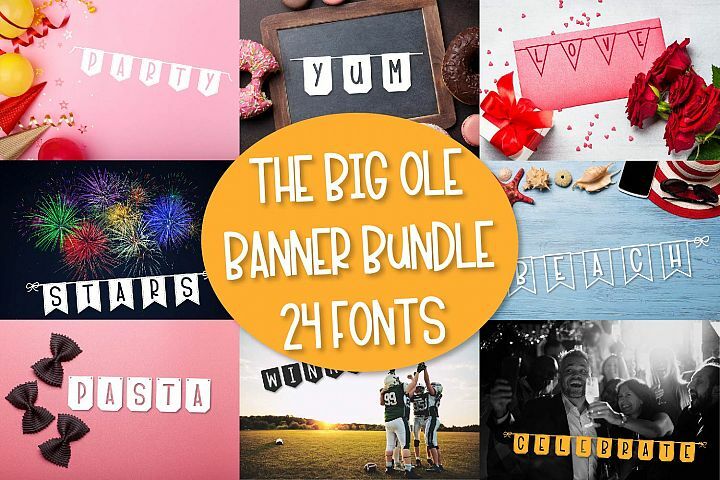 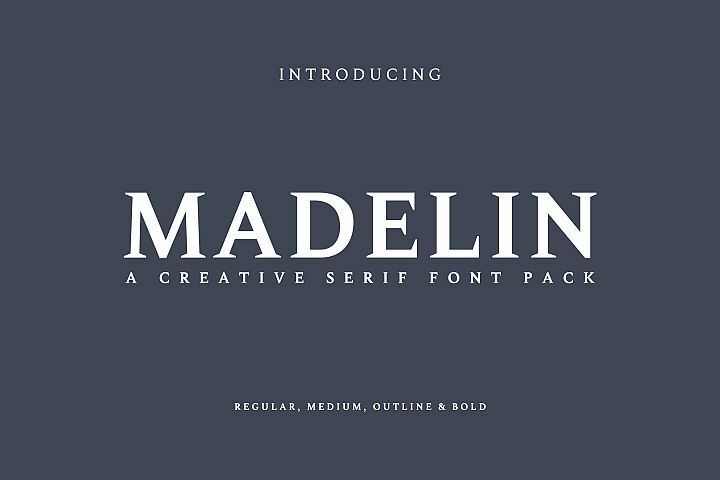 The fonts in this collection are also sold separately!